Come and experience Israel with the guy who caught a leopard barehanded in his bedroom ! Most of my tours are custom-tailored. Feel free to contact me to receive more information about tours through Israel or the Negev Desert (4X4 Tours, Horseriding, Hiking, Rappelling). I came from the Netherlands to Israel in 1985 as a student of agriculture. I studied nabatean runoff systems at the Avdat research farm of Prof. Michael Evenari. Here I met my wife and together we have four children. 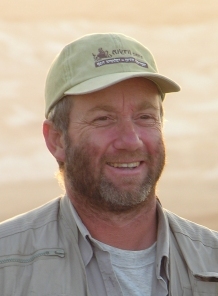 I worked at the Jacob Blaustein Institute of Desert Research in Sde Boqer at the Department of Ecology for a number of years, focussing on big mammels like ibexes and onagers which is a wild type of horse. Subsequently, I acquired a tourist guide license of the Israeli Ministry of Tourism in 1991 after a two year study. Since then I have been guiding numerous tours through Israel. 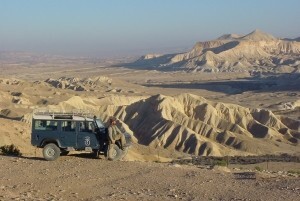 My destination is the wilderness of the Negev Desert.